In response to the recent spate of violence againt Indian students in Australia, Bollywood filmmakers have decided not to shoot films in that country. The rising attacks on Indians in the last two weeks have shaken the film industry. In a latest development, the Federation of Western India Cine Employees Association has sent letters to all producers requesting them not to choose Australia as the destination for their film shoots. Speaking to rediff.com, Dinesh Chaturvedi, General Secretary, FWICE, said, "We have given instructions to all our associations that they should not shoot films in Australia as the situation is not normal over there. Many of the producers have agreed to our demands; they have either postponed or cancelled their shoots." 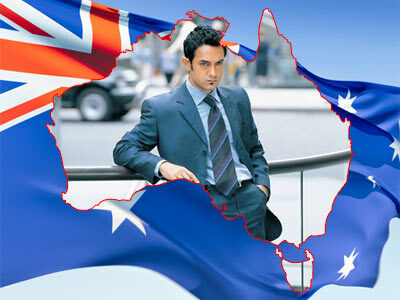 Australia became one of the most favoured film destinations ever since Farhan Akhtar shot his debut film Dil Chahta Hai in 2000. Many more films followed like Janasheen, Salaam Namaste, Heyy Babyy, Chak De! India and recently, Bachna Ae Haseeno. "I am quite disturbed by these attacks," says Siddharth Anand, director of Salaam Namaste and Bachna Ae Haseeno. "They are still going on. The government of Australia has to take some drastic action to stop these attacks." Sharing his own experience of shooting in Australia, he said, "Australia is one of the most peaceful countries and I had a very good experience shooting both my films there. The people are very friendly." So would he return to Australia to shoot his next film? "Right now, I'm wary of shooting there," Siddharth says. "I'm quite disturbed to see my fellow countrymen being attacked." The first one to react against the racist attacks on Indians was Amitabh Bachchan, who turned down an honorary doctorate from the Australian University in protest. Soon to follow was Aamir Khan, who wrote on his blog that it was disturbing to see Indian students being attacked. 'While this doesn't mean that all Australians are racists, the frequency and seriousness of such attacks, I think, calls for an extraordinary reaction from the Australian authorities. And while we want action to be taken by authorities in Australia, we should remember all the various crimes against foreigners who visit India,' Aamir wrote. Echoing similar sentiments, director Sajid Khan -- who shot Heyy Babyy in Australia -- said, "You cannot judge the entire country by some acts of violence. But I do feel sad that this incident happened in the first place." "As a sign of solidarity to my fellow countrymen, I will not shoot my future films in Australia until the government takes some concrete action against the perpetrators of these attacks," Sajid adds. "I think the Australian government should have done more to prevent such attacks." He also blamed the Indian government for not doing much against the attacks. "We Indians have a policy of forgive and forget. Imagine if some Americans were attacked in the same way, this issue would have been on the United Nation's agenda," he continues.